Old Fashioned Vanilla Custard Pie - just like Grandma made! A real old fashioned version of a Vanilla Custard Pie just like Grandma used to make. 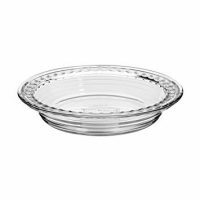 Top with fresh raspberries or any fresh berries or fruit of your choice. 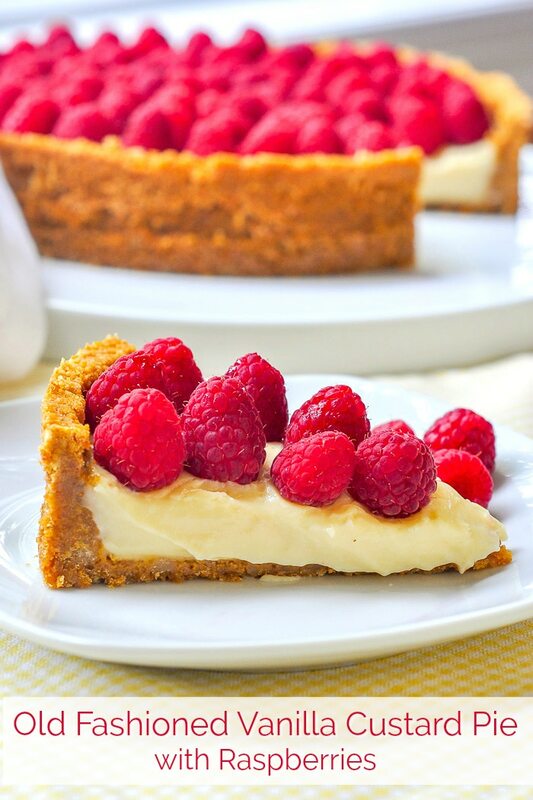 I normally make this uncomplicated creamy custard pie in a butter pastry crust. My daughter Olivia, however, is an absolute nut for anything in a graham crumb crust. To her, a graham crumb crust on its own would be a perfectly acceptable dessert. So, on this occasion I relented to her wishes and used her favourite pie vessel instead. 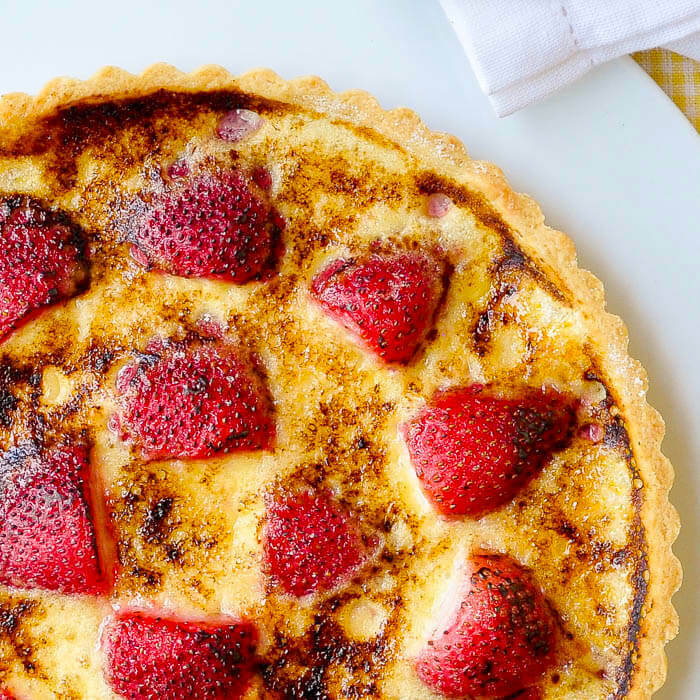 If you want to use a blind baked sweet butter pastry instead, just use the one that’s included with our Summer Fruit Creme Brulee Tart recipe. The custard is one that I have been making for a very, very long time. My local market was out of vanilla beans at the time I made this pie, so I substituted good vanilla extract. As a preferred alternative to using vanilla extract, you can add one large vanilla bean to the milk as it is being slowly scalded. Split the bean, scrape out the seeds into the milk and add the bean to the pot as well. Just remove the pod before adding the milk to the flour mixture. If the crust in this pie is my daughter’s favourite, the top has to be my son’s. Like me, he adores fresh raspberries. On more than one occasion, a pint or two that I purchased for a specific recipe have suddenly gone missing from the fridge. 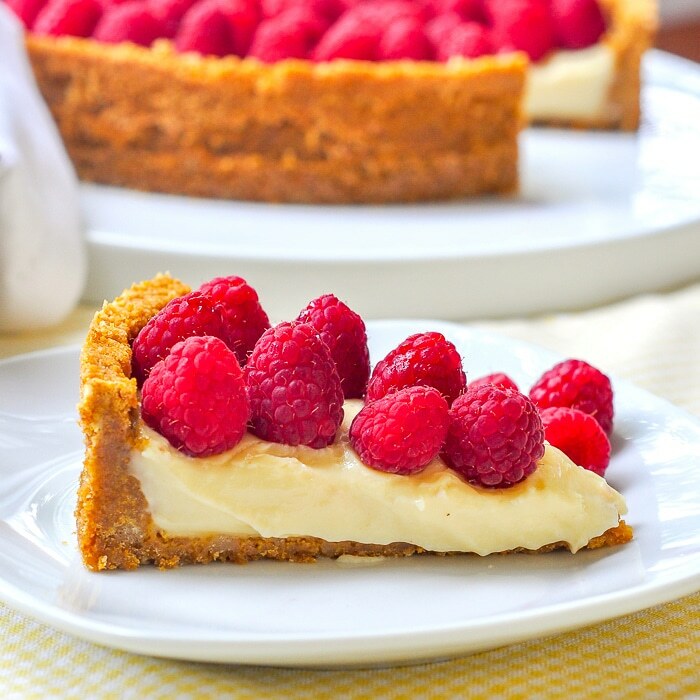 I love the combination of the tart raspberries and luscious custard in this pie. Truth be told, though, any fresh seasonal berry or fruit at its peak would be equally as good in this delicious, unfussy dessert that just says homemade goodness. Like this Old Fashioned Custard Pie recipe? UPDATED April 2019 to include nutritional information. 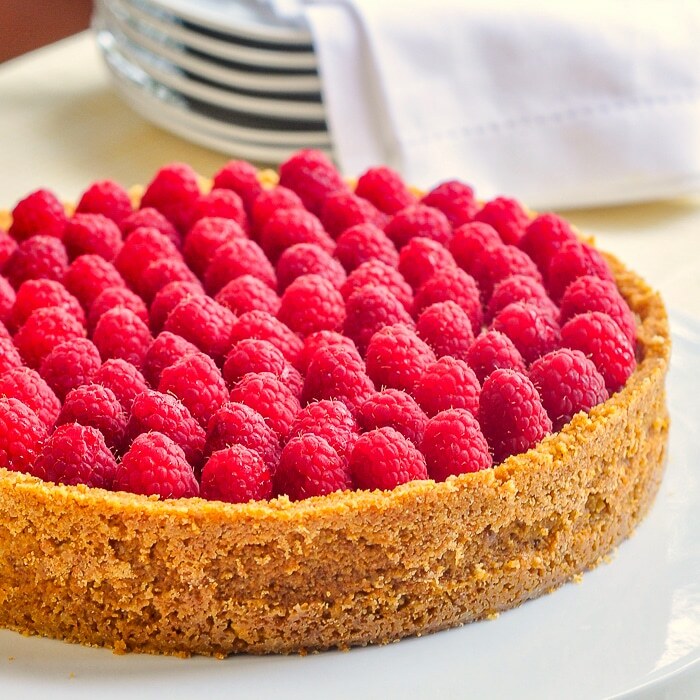 A real old fashioned version of a Vanilla Custard Pie, this time with a graham cracker crumb crust and topped with fresh raspberries. 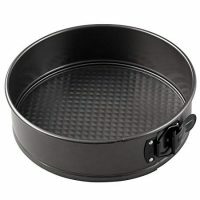 Mix together the graham cracker crumbs, sugar and melted butter well and press into a lightly greased 10 inch deep dish pie plate or into the bottom and sides of a 9 or 10 inch spring form pan that has the bottom lined with parchment paper. Bake for 10 minutes at 350 degrees F and allow to cool completely before adding the custard. Scald the milk in the microwave or on the stove top to almost boiling. Microwave works best as there is no chance of burning the milk. Over medium low flame slowly add 1 cup of the scalded milk, whisking constantly. As you notice the filling beginning to thicken, add another cup of the scalded milk continuing to stir constantly until it begins to thicken again. Add the final cup of scalded milk, stirring constantly. Continue to cook over medium low heat until mixture begins to slightly thicken. At this point remove from heat and pour about a half cup of this mixture onto the beaten egg yolks, whisking constantly. Cook for an additional two or three until the filling reaches pudding consistency and remove from the flame. The mixture should just be beginning to boil at this point. Cool almost to room temperature, stirring occasionally, before pouring into the baked pie shell. Chill for at least 3 hours or overnight. When completely cool, cover the top of the pie with the fresh raspberries or any other berry or fresh fruit of your choice. Instead of vanilla extract you can add one large vanilla bean to the milk as it is being slowly scalded. Split the bean, scrape out the seeds into the milk and add the bean to the pot as well. Just remove the pod before adding the milk to the flour mixture.